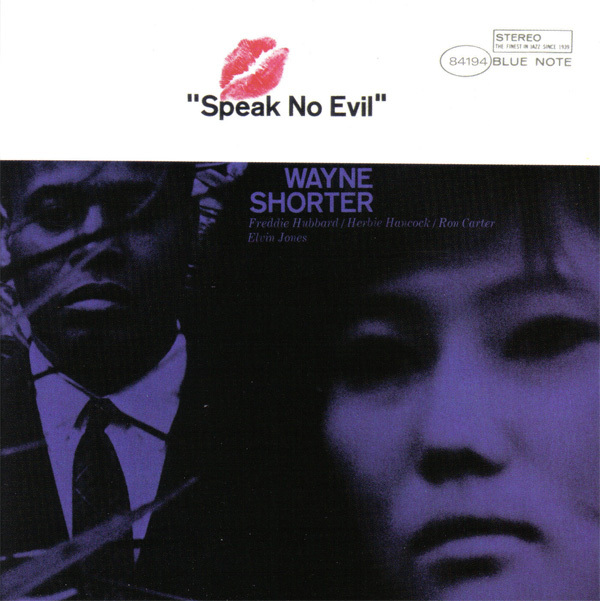 Wayne Shorter’s 1964 (recorded) Blue Note classic. Halloween hasn’t even come yet, so I know it’s offside to start talking about Christmas, but indulge me here for a second. On Christmas Eve, 1964 Wayne Shorter headed to Rudy Van Gelder’s studio in New Jersey along with a couple of his new band mates from the Miles Davis Quintet (which he had just joined earlier that year) Coltran’es drummer Elvin Jones and trumpeter Freddie Hubbard to record an album for Blue Note Records. But when they got there the music they recorded was a lot closer to Halloween than Christmas. “Legends, folklore and black magic – the arts of mystery and darkness – have long been a special source of inspiration for artists,” the liner notes begin. “I was thinking of misty landscapes with wildflowers and strange, dimly-seen shapes – the kind of places where folklore and legends are born. And then I was thinking of things like witch burnings, too” says Wayne. Well, alright then. Merry Christmas! Of course, the resulting album, Speak No Evil, is widely considered not just one of Shorter’s best but one of the greatest jazz albums of all time. Speak No Evil came at an important time for jazz. In 1965 Coltrane would release A Love Supreme (actually recorded just a couple weeks before Speak No Evil) and later fully embrace Free Jazz; in a few short years Wayne himself would be playing Fusion with Miles Davis. Speak No Evil stands as a defining work of the hard-bop era. All of this is not just to say how great Wayne Shorter is, but to get you excited for the opening show of the second week of the 2015 Steel City Jazz Festival, appropriately timed just before Halloween! We are very pleased to welcome the Chris Bruder Quintet to the Pearl Company, where they will be playing Speak No Evil from top to bottom, plus a whole second set of their favourite Wayne Shorter tunes. If that doesn’t already have you excited, the band should. Chris is one of the best, most versatile pianists around, and he’s playing with an all-star lineup: Mike Malone (as Freddie Hubbard) on trumpet, Adam Fielding (as Elvin Jones) on drums, Clark Johnston (as Ron Carter) on bass and Scott Neilson (as Wayne!) on saxophone. This is a great band playing some of the best repertoire in jazz; don’t miss out. The Chris Bruder Quintet play October 29th at 8pm at the Pearl Company. Tickets are $15/$10 for students and can be purchased in advance here. See you there! Next Next post: See you next year!